bonjour, hallo & ciao from the motherland! welcome reader to the first stop of my 2015 summer euro tour. 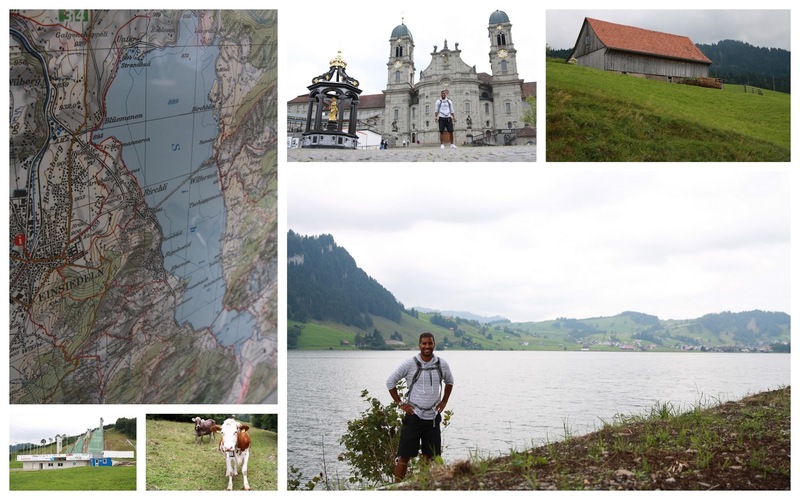 it's with a great smile that i sit to document my many adventures in switzerland. to say that i explored the lands of my great great grandparents doesn't do my feet (nor my pf flyers) justice. every step was a reminder of the many years i spent longing for the day i'd actually be here. although i often found myself taking much needed mid-day snoozes, i promise you, i took full advantage of each and every hour i had. 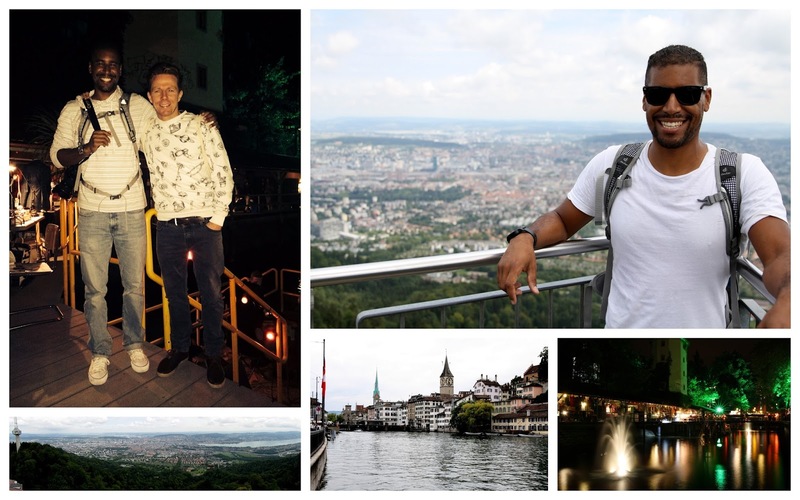 the adventure began in earnest with the 20 hour flight to my first city, geneva. we flew over greenland and the artic ocean with stunning views of blinding white glaciers. a friend i hosted in los angeles last year, anouk, was my incredible host during the time i had in the french speaking west end of switzerland. as i made my way through swiss customs, it was so nice to see a familiar face smiling back at me on the other side of the world! 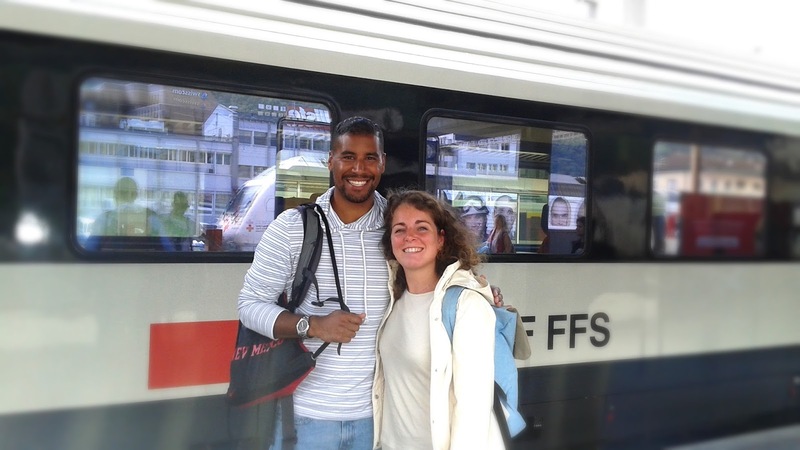 my wonderful swiss host in geneva, anouk! during the 5 days i had under the care of the keller family, i was absolutley humbled with generosity and comfort. 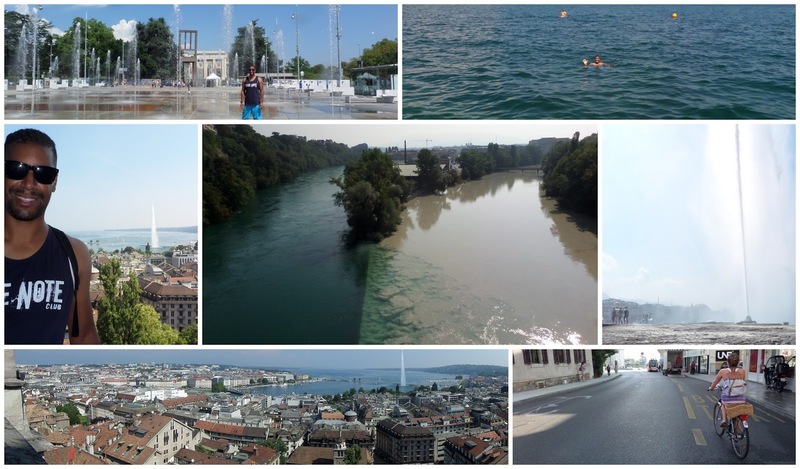 with anouk on summer holidays, she was kind enough to guide me around the various cities i had on my list. a day spent in geneva, biking around the city and swimming in it's beautiful lake. 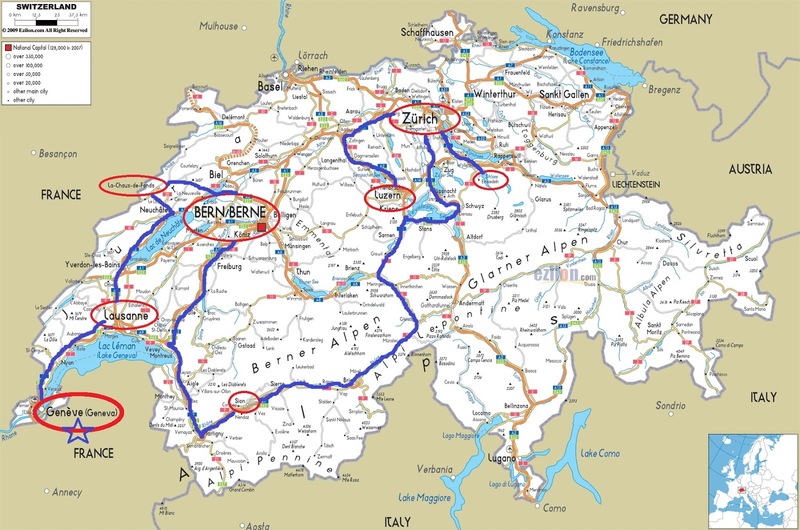 one comes from the lake (blue) the other from the mountains (brown). an afternoon spent in lausanne is an afternoon spent on the stairmaster...the city is built on hills, big, exhausting, endlessly beautiful hills! 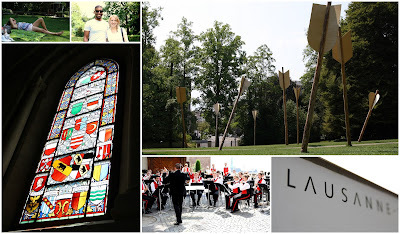 lausanne is across from geneva on lac leman (lake geneva) and another friend i hosted in los angeles calls it her home. katy met up with me and anouk during her lunch break and we sat in the park, catching up on life :) we were also surpised by an impromptu street performance from a band outside lausanne's large cathedral! a pleasantly rainy day in the swiss captial! 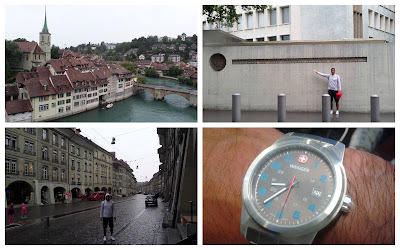 we stumbled upon the U.S. Embassy and i also fell in love with a beautiful wenger watch...it was a once in a lifetime opportunity to purchase a swiss watch in none other than the swiss capital, but to have an instant connection with the piece as well (think harry potter and his wand!) was beyond meaningful. unfortunatley, most all of my time in switzerland was accompanied by clouds and rain. 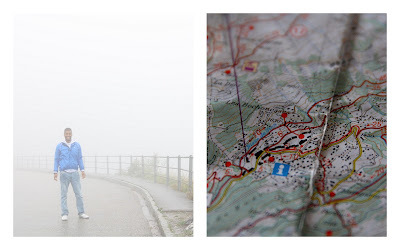 although it didn't stop me from enjoying my experience, it did prove for some sub-par images :/ but none tops the rainiest, cloudiest, foggiest conditions like my time in the swiss alps! just outside of sion, a mountain community (anzere) was where i spent 2 nights and a full day covered in the densest mist i've ever seen. we hiked 12 miles rountrip to a beautiful lake that we knew we weren't actually going to be able to see...but the hike (and the 50 ft. radius we could see from any given angle) was still a blast! as memorable without the amazing host i now consider a good friend. i wanted a small village atmostphere and his recommendation was spot on! 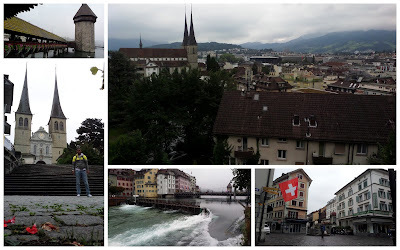 luzern was another suprise visit on my list, and another succesful suggestion from beat. it was the 8th and final city to round off my tour of switzerland. 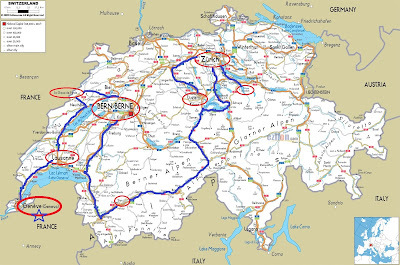 i've now seen more of my home country switzerland than i have of my actual 'home' state of california. and to be honest, i'm totally happy with that! it's an experience i dreamt of as a child, and the time i've spent here has surpassed any expectations i could have possibly had growing up. it's difficult to imagine the distances i've walked and the many different cities i've managed to see. i even skipped venice, italy, scratched it right off the list, because i wanted, no... i needed more time in this country. although it's undoubtably the most expensive country i've toured so far (about $20 USD for a plate of delicious chow mein...no, not joking) it's people and culture have also been the kindest and most accepting of others. 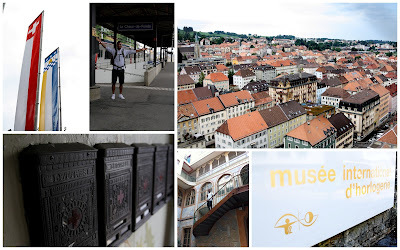 up next is vienna (wien) and the country of austria! i'm looking forward to a new adventure and hopefully some improved weather! to my hosts, anouk, the keller family and beat; you must know how incredibly special you've made my time in switzerland. for the memories i'll never forget, and the friends i'll always have, thank you!